In his formative years, iconic French DJ, producer and label boss DJ Deep cut his teeth in-and-around a handful of Paris’s most well-respected nightclubs, including Rex Club where he was a resident of Laurent Garnier‘s infamous ‘Wake Up’ parties. Perfecting his craft for more than two decades, DJ Deep has garnered the respect of key tastemakers and DJs the world over and his music has been picked up and shared via such labels as Tresor, Rekids and Kerri Chandler‘s Kaoz Theory imprint to name a few – not forgetting his own Deeply Rooted label, which has seen releases from Ben Sims, Bleak and close friend and longtime collaborator, Roman Poncet. We caught up with DJ Deep to discuss his mix, his serious love for vinyl and the state of techno music today, amongst other things. Check out the interview and his epic mix below! Hey Cyril, thanks for joining us – how have you been? Thank you for having me on board! Very busy, but happy to be working on some new music with Roman Poncet (aka Traumer) on our different projects – DeepTraum, Slang and Sergie Rezza, and also some solo studio work. We will be presenting some new live shows around our new releases under our various aliases and are actively working in the studio on this as well. I’m also excited to continue developing my Deeply Rooted nights in some key European clubs and cities, with the Mothership being Rex Club in Paris. So, you have previously described your role as a DJ as ‘being a filter’, purveying various sounds to your audience. 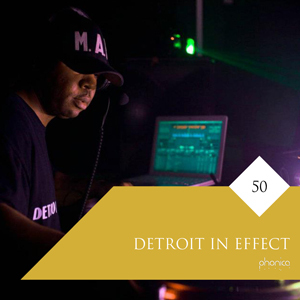 What was your approach to this mix and what inspired your selections? There is so much music these days and there are so many new releases, as well as reissues, or previously unreleased recordings, that it is a full-time job to check everything! So my approach to the mix was to try and be as spontaneous as possible in a studio environment and let my instinct pick the next record. When in a club, I follow the vibe of the moment and the energy I get from people and try to translate this into a specific musical selection. But when I’m alone in the studio, I try and get in this mood where hopefully I create a bit of a vibe, hoping listeners will enjoy the trip! 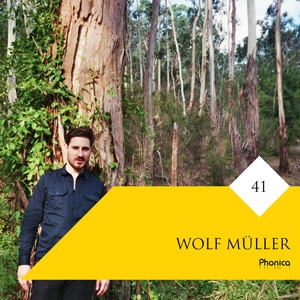 My dear friend Paulo who handles Tresor Records, but also runs the Berlin Atonal festival and for whom Romain and I recorded our Slang project, gave me Moritz von Oswald’s new collaborative project with Ordo Sakhna, released on Honest Jon’s. I had to start the mix with this record. I am such a fan of Moritz and his approach to producing and I was really blown away by this project. The way musicians are recorded, the approach of having the music ‘speak’ first. Mr. von Oswald’s mastery in the studio has the whole project sound in such subtle and specific way. Your formative years as a techno and house DJ were in Parisian establishments such as Club Palace, Radio FG and Laurent Garnier’s influential Rex Club. But what was your experience of the early French scene? How accepting was it of techno as a musical movement? It has not been an easy process as house and techno were considered as ‘evil’ in the early days, so we young DJs had to fight to defend what we believed in. A new form of music, of partying, and a new movement that gave me a certain mentality and a certain strength to trust my ears and never to be discouraged. This has sort of formed my strengths – and weaknesses – for a lifetime, if I can put it this way. I didn’t wait for anyone to validate my love for Romanthony’s music back in 1993 and to play it on my shows on Radio FG. At clubs, I would play the promos I could get my hands on during my travels in NYC for instance and records that I was probably one of the only few people in France to have. I have always tried to follow my instinct in the same way. For instance, asking Ben Block to remix Kerri Chandler’s “Pong” back in 2007/2008 was not as obvious and good an idea back then, then it is looking back now 10 years later if you know what I mean? Can you pinpoint any experiences or moments that (now, looking back) were crucial in the progression of the scene? What were some of the driving forces that have moved it into the thriving environment we are witnessing today? But I can clearly remember how the rave scene in the late 80’s gave a new breath to the whole dance and club scene here in France. Once again it was a fight, but I am always and have always been up for defending my passion! 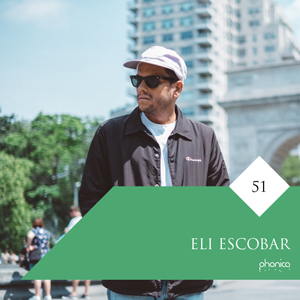 In more recent times, and of course in a different way, Concrete started their parties here in Paris and they clearly shook things up and inspired everybody involved in house or techno parties and events to be creative again! It is evident from your discography that Roman Poncet has been a longtime collaborator. How did the relationship come about? And more importantly how has it encouraged you to take new artistic directions from the sounds you were making solo? We started working together in 2015. Roman has been a great source of inspiration and a great help, he is the one who encouraged me to come to his studio and try things out. I would come up with sketches, drafts, and we would develop them and elaborate them a bit more precisely, he taught me a lot. There has been a great synergy between us that led us to try and develop different projects. Sergie Rezza is really something special and unique for us, and it is very close to both our hearts. We have two records coming out in a few months time on our newly created Sergie Rezza records. Adventice, released on Tresor and Deeply Rooted, is a straightforward techno project, Fang is a house project, DeepTraum is our most recent collaboration that combines what I like in house with Romain’s love of the micro-house sound, which he does so well under his Traumer alias. Slang is another project, and whilst it is house it hopefully has a bit of an experimental and ‘open mind’ vibe to it. Can you pick a highlight record that has come from your collaborations together? Our Sergie Rezza album on Desire Records back in 2015 is something very special for us. Having the chance to perform it live at Institut du Monde Arabe in Paris will always be a very unique moment for us. Recently being able to do a version of Carl Craig’s remix of Borderland ‘Transport’ (coming out this week on Tresor) was also a great opportunity, and we were thrilled that all of the legends involved in this recording let us try and do our version. Following this, you have adopted a variety of alias’, how do you think they have allowed you to further explore your sound? Romain and I always admire artists that can produce different styles of music, and St Germain is always a big reference. Not only was he a house and techno pioneer here in France, but also with his various aliases and collaborations e.g. D.S, Deepside, St Germain, LN’S, Soofle etc. he managed to explore different territories and still have his own personality. Sergie Rezza is more experimental. DeepTraum is a meeting point between what I feel is house and Romain’s ‘Traumer’ vibe. Slang is a spontaneous project that we recorded in one take which is house with a ‘free’ approach in recording and mixing. Does the formation of a new alias happen organically or are they very much planned projects for you? It happens organically. Sometimes we get a bit hyper in the studio and many ideas come at once, so we try to group them by feelings or styles. Sergie Rezza occurred through natural collaboration, and we clearly knew from the beginning we wanted it to be our free space where we could explore more intimate ideas and emotions, as well as play with many of our musical influences e.g. ambient, dub etc. In recent interviews you have described the recent rebirth of techno to be, at times, ‘’incredibly boring”, what, in your opinion is modern-day techno lacking? Having a sense of critique, when the love of music is the one and only concern in my mind is a positive thing, but it doesn’t always seem to be too popular. I remember after hearing Lil Louis’ dope ‘House Is Techno’ track (coming out on his forthcoming album) I made a post on Facebook where I simply stated that house and techno were definitely part of the same family, which for anyone who knows anything about this music is a fact, period. However, I got quite a few negative comments and some negative feedback, which tells you quite a bit about a very ‘open-minded’ scene, doesn’t it? So yes, at times some techno can sound just boring. I mean come on, I’m in the same boat here 🙂 It’s been over 20 years now and as a producer, it’s hard to keep things fresh, exciting and inventive. So by making this critique I also make myself the critic, to try and push the filter just a bit. It’s the same for DJs. I think we have reached a point where there should be a separation (I know it could seem contradictory to my love of this united House and Techno movement) between some of the mainstream underground techno headliners playing a soulless, uninteresting soundtrack for kids to do drugs, and the real music lovers spending their life to fight and defend their beloved music, you know what I mean? We are all very excited about the future of DJ DEEP – particularly the new Comptines Electroniques label. The incredibly balanced 2-Track EP Deep Traum is a very exciting start, can you tell us what else there is in store for you in the future? Thank you very much for your kind words! We are working on the second Comptines Electroniques release, and depending on these crazy manufacturing delays we’re facing at the moment, the release should come out quite soon in 2018. There will be two singles on our newly created Sergie Rezza label in 2018 and I am starting a new Techno collaboration with Roman Poncet. I am also working on some solo material too.